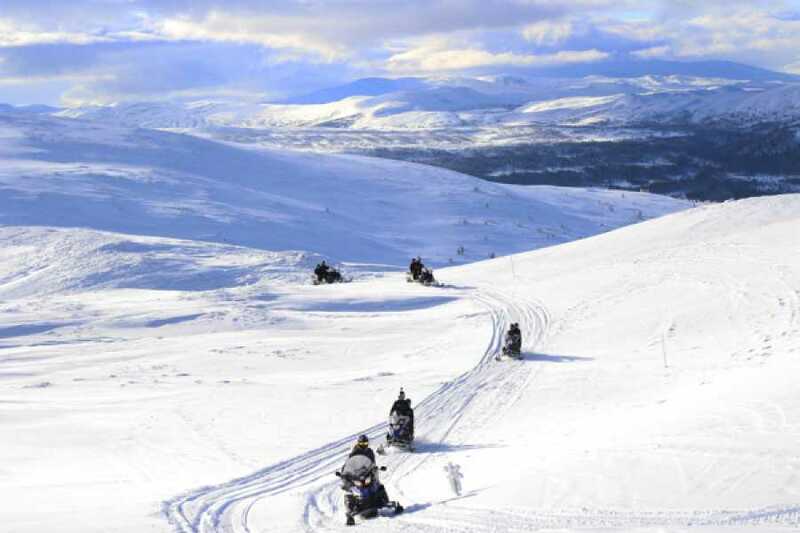 We set off in a two-hour snowmobile safari and aims at Renfjällets heights with stunning views of Åre. If we have time we stop for a fika (something small to eat/ drink). To drive away from civilization by snowmobile is something special. When you come up on the mountains and looking out at the view, happiness is complete! Bookings less than 2 days before the departure time can only be done by phone or email. The snowmobiles we have are Yamaha ventue Multi purpose, the perfect touring machine! We meet at Camp Åre, walking distance from Åre, down at the Holiday Club. In order to drive a snowmobile requires B driving license (car license) or license for snowmobile, remember to bring your driving license. Minimum age 8 years. We provide you with warm overalls, shoes, helmet, gloves and balaclava, everything to make the experience complete! Please come dressed as for a day in the skiing slopes we will help you with the rest. The tour will last for about 2 hours. NOTE! 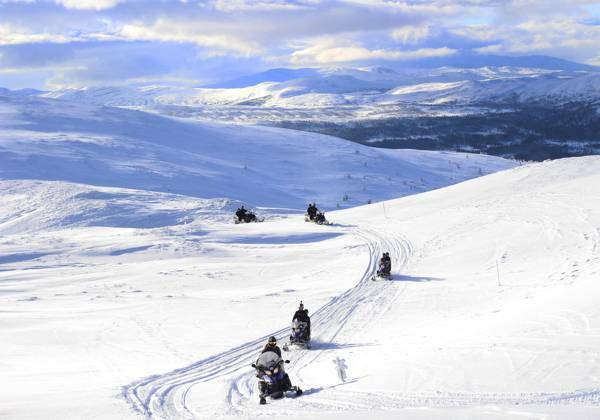 These tours are so-called open tourse and this allows Camp Åre the right to book more people on the same tour. For a tour to start we need minimum 3 snowmobiles booked. If you are a business group or want to book a private tour, please contact us.